Our product range includes a wide range of 15 mukhi nepali rudraksha, 16 mukhi nepali rudraksha, 20 mukhi rudraksha, 18 mukhi rudraksha, 19 mukhi rudraksha and 17 mukhi nepali rudraksha. We are one of the leading traders of 15 Mukhi Rudraksha, which is considered to be beneficial for people in the business of chemicals and iron. 15 mukhi represents Lord Pashupatinath. 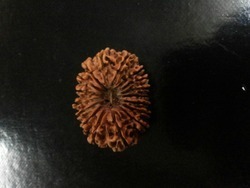 15 mukhi nepali Rudraksh represents the benefits of both 14 mukhi and 16 mukhi rudraksh. Its a bridge between 14 and 16 mukhi. The wearers communication skills are improved. 15 mukhi is extremely beneficial for elderly people. Extremely beneficial for heart problems. 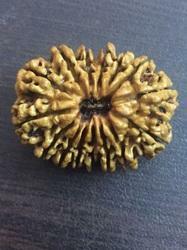 We are one of the leading names in the industry that provides 16 Mukhi Nepali Rudraksha that is also known as jai rudraksha. 16 mukhi rudraksh is a miraculous rudraksh as it posseses the power to give peace and prosperity at the same time. 16 mukhi creates a comfortable zone for the wearer which can be experienced only if there is mental,physical and materialistic security. Wearer can experience flow of money in a very short time. 16 mukhi has the power to remove malefic effects of planet Rahu and Ketu. 16 mukhi shown above in the pic is available with certificate and life time gaurantee of authenticity. Mystic Rudraksha is the preferred trader of 20 Mukhi Rudraksha, which is considered to be the Brahma Roopam. It helps in repelling spirits, ghosts, wicked planets and devils from the wearer and cures the snake bites. These effective 20 mukhi rudraksha beads are quite popular in the market as they hold the energies of nine planets, tri devas and eight dikpals. 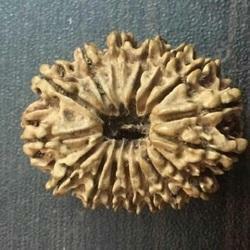 Mystic Rudraksha is the preferred name among our customers for offering 18 Mukhi Rudraksha. This powerful and rare rudraksha bead is the symbol of Earth and is widely recognized as bhoomi rudraksha. 18 mukhi is full of goodluck. Wearer gets success and money flow with ease and from any kind of work he may be involved in. Business men can take maximum benefits from this rudraksh. People dealing with land are benefitted immediately. 18 mukhi has the power to remove malefic effects of almost all planets. We are one of the major traders of 19 Mukhi Rudraksha, which symbolizes Lord Narayan. It brings good health, success in business, wealth, and abundance in all the spheres of life of the wearer and provides moksha and freedom from harmful diseases as well. The offered rudraksha is believed to eliminate all the obstacles in the path of education, jobs and businesses. 19 mukhi has refined energy of planet Surya. It gives immense energy and mental abilities to carry out most difficult tasks at higher positions whether in business or jobs. We are engaged in the export and trade of 17 Mukhi Nepali Rudraksha that is quite popular among our customers as it brings success in all aspects of life. The wearer is able to save money and invest in property. 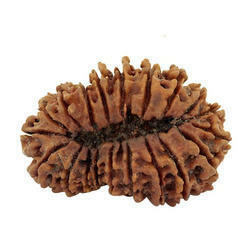 17 mukhi is a very dynamic and powerful rudraksh with lot of power. Very good for business and saturn related problems.